thviraj Rajo and the Nainsi ri Khyat. Kumar Singh, of the Anthropological Survey of India, has explained that the Annals were primarily based on "bardic accounts and personal encounters" and that they "glorified and romanticised the Rajput rulers and their country" but ignored other communities. One aspect of history that Tod studied in his Annals was the genealogy of the Chathis Rajkula (36 royal races), for the purpose of which he took advice on linguistic issues from a panel of pandits, including a Jain guru called Yati Gyanchandra. He said that he was "desirous of epitomising the chronicles of the martial races of Central and Western India" and that this necessitated study of their genealogy. The sources for this were Puranas held by the Rana of Udaipur. Tod also submitted arch?ological papers to the Royal Asiatic Society's Transactions series. He was interested in numismatics as well, and he discovered the first specimens of Bactrian and Indo-Greek coins from the Hellenistic period following the conquests of Alexander the Great, which were described in his books. These ancient kingdoms had been largely forgotten or considered semi-legendary, but Tod's findings confirmed the long-term Greek presence in Afghanistan and Punjab. Similar coins have been found in large quantities since his death. In addition to these writings, he produced a paper on the politics of Western India that was appended to the report of the House of Commons committee on Indian affairs, 1833. 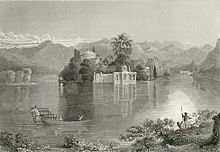 He had also taken notes on his journey to Bombay and collated them for another book, Travels in Western India. That book was published posthumously in 1839.